If you’ve decided to sell your home, chances are you have a number in mind. But do your expectations match up to your property’s actual value? Often, there is a gulf between prediction and reality, leading to the eventual disappointment of all involved (except the buyer, of course, who probably got a sweet deal). To avoid the letdown, it’s crucial you know how much your asset is actually worth by contacting an industry professional. While the onus lies with the seller to ultimately decide on the asking price, a knowledgeable real estate agent will be able to provide the insight and information needed to make an informed decision. If you’ve listed a property for sale before, chances are you worked with a real estate agent. Was the experience good and the outcome favourable? It was? Great. Consider giving them a call — agents thrive on personal connections and are driven to build on past successes. The same goes for the agent that helped you purchase the property you’re looking to sell — reestablish contact if the experience was a good one! At the agreed-upon time, your agent will visit and appraise the property based on the location, its position, condition and size. Areas of particular interest are the home’s finishes, including any renovations, modernisations or upgrades you may have completed in the interim. On that note, we’ve written a detailed blog about the best cosmetic improvements to increase your home’s value, here. Your agent will then head back to the office to pore over and collate the gathered information. With the help of both a comparative market report and a Lightstone report, they’ll analyse how well similar properties — adjusted for feature differences — are performing in the area. From this data, your agent will formulate the estimated value of your home. Armed with insight and advice, the agent will return to present the valuation to you. As mentioned, the seller is under no obligation to accept the suggestion. The final decision lies with you and the agent will go on your instruction to market the property. Whether or not you choose to take the agent’s valuation advice, it’s vital you do so from a place of knowledge. 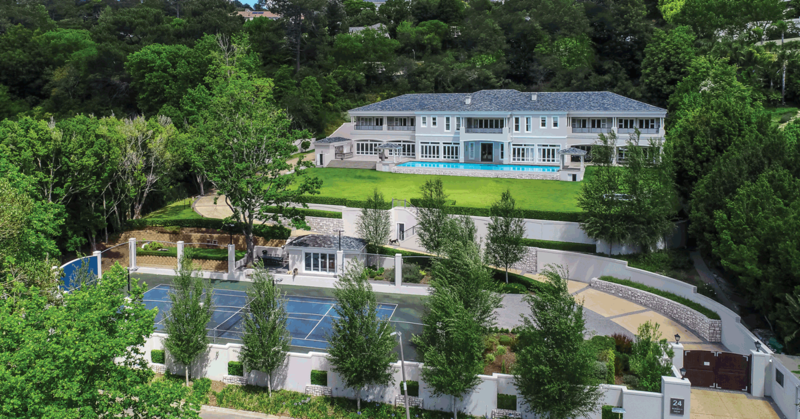 With decades of accumulated industry experience in the Western Cape market, Greeff Christie’s International Real Estate is perfectly placed to advise you on selling your precious asset. For a free property valuation, join our growing community of property investors at the Greeff Investor’s Club. This comprehensive hub will help you navigate the complexities of the property market with up-to-date news, statistics and insights you won’t find anywhere else.